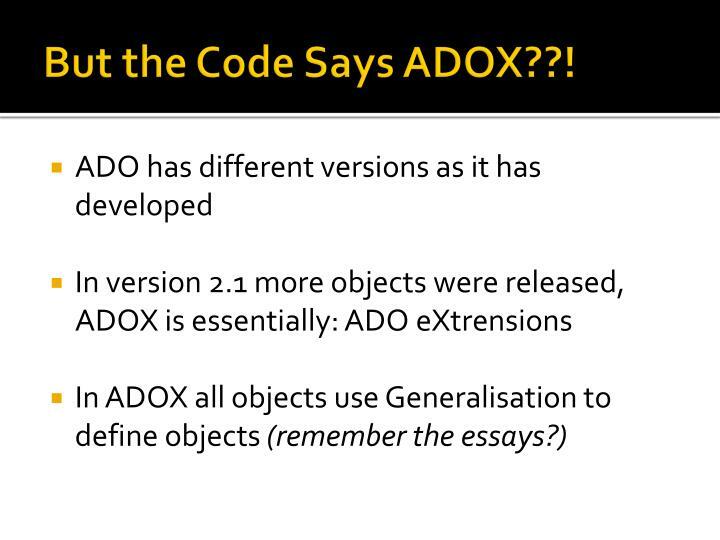 But the Code Says ADOX??! 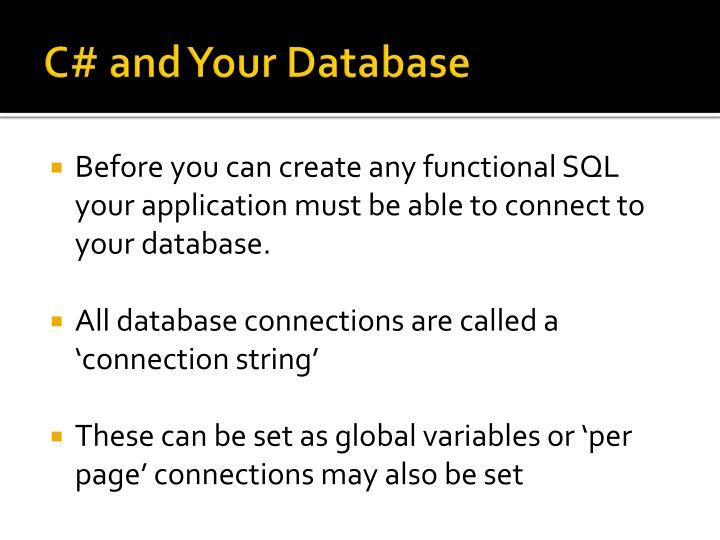 Before you can create any functional SQL your application must be able to connect to your database. 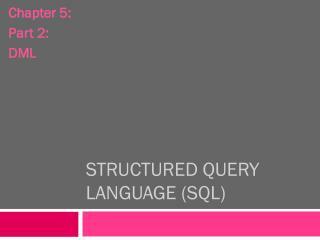 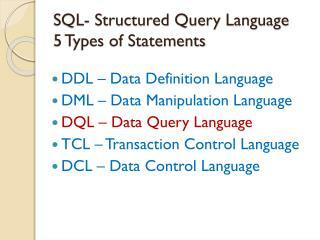 SQL- Structured Query Language 5 Types of Statements -. 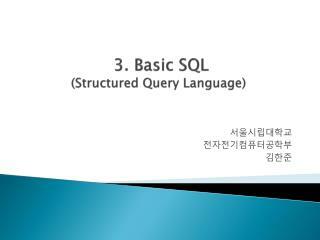 ddl – data definition language dml – data manipulation language dql – data query language tcl – transaction control language dcl – data control language. 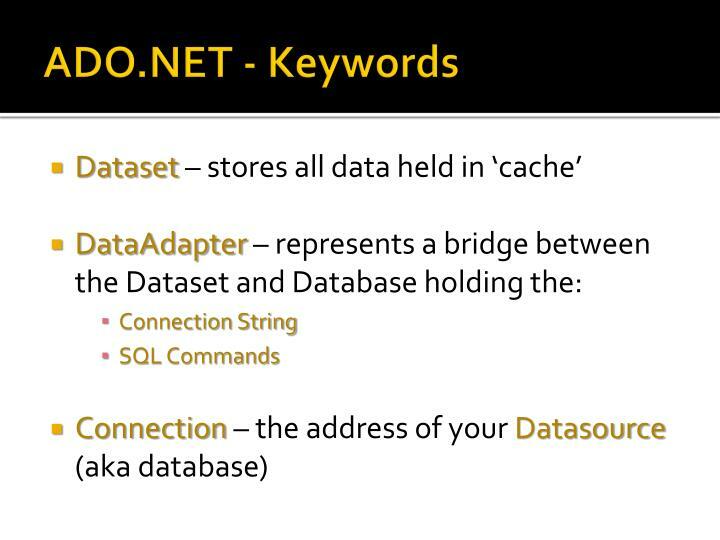 ddl. 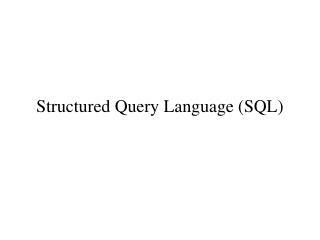 dql/dml. 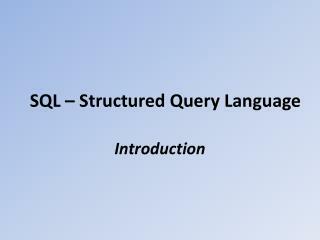 STRUCTURED QUERY LANGUAGE -Structured query language. 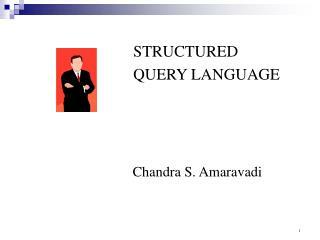 chandra s. amaravadi. 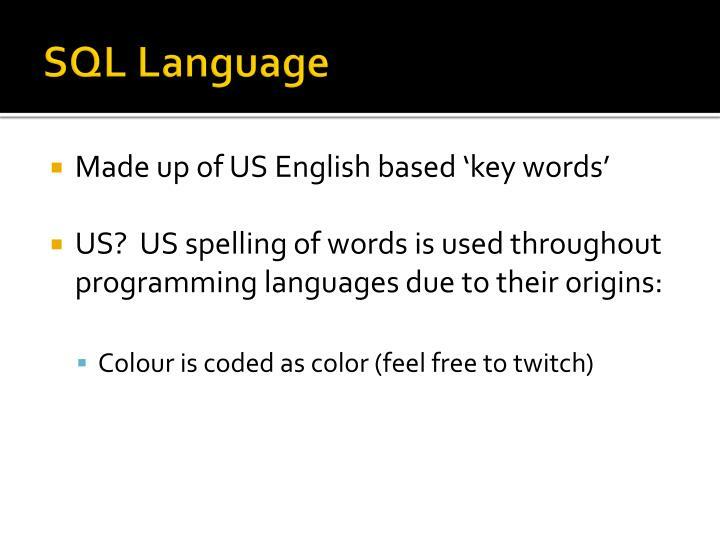 in this presentation. 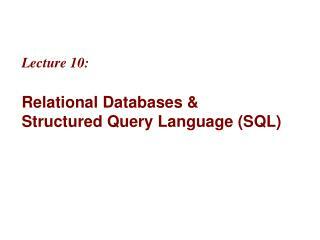 codd’s rules for relational systems types of sql ddl and dml examples. 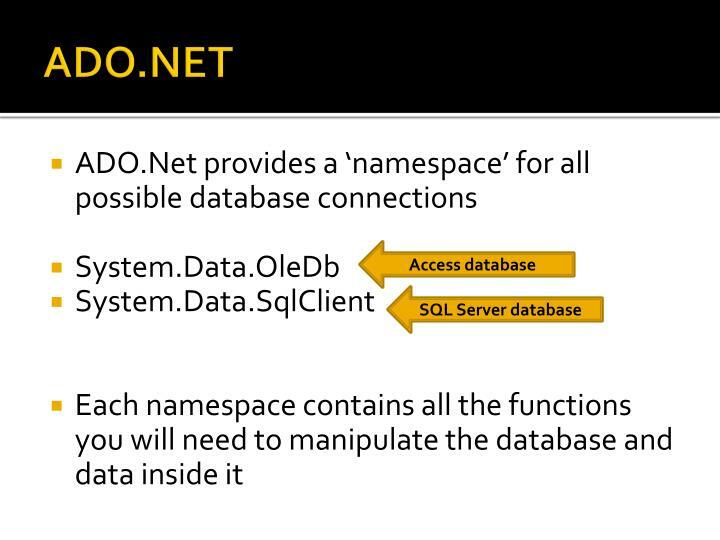 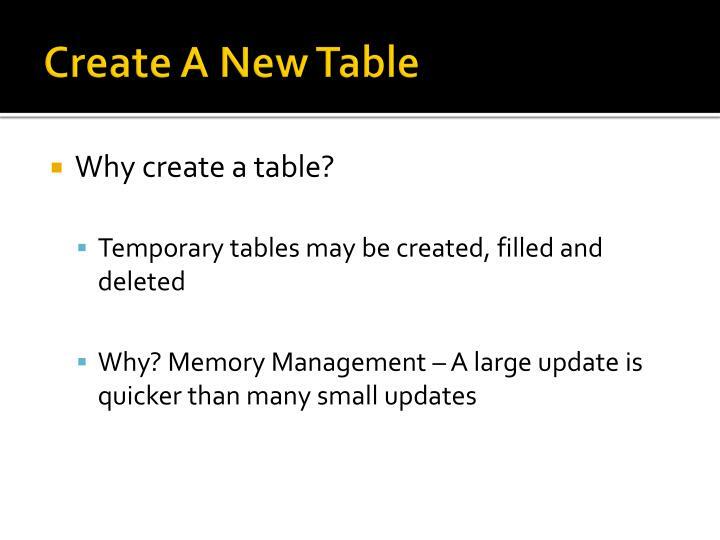 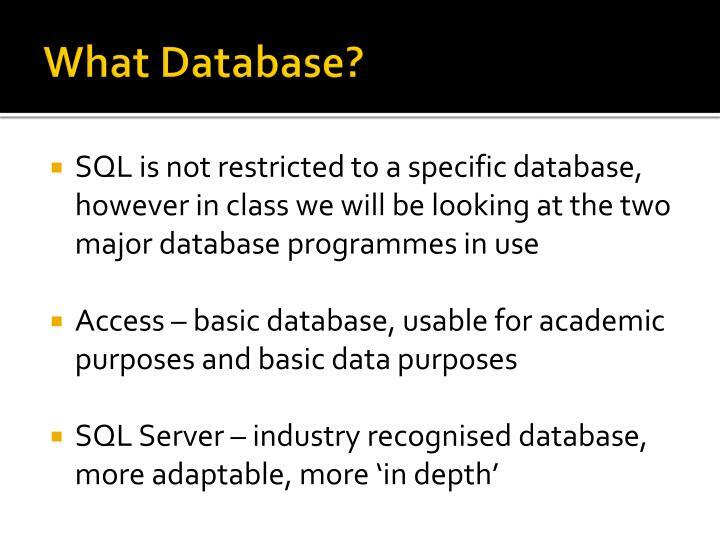 codd’s rules and types of sql. 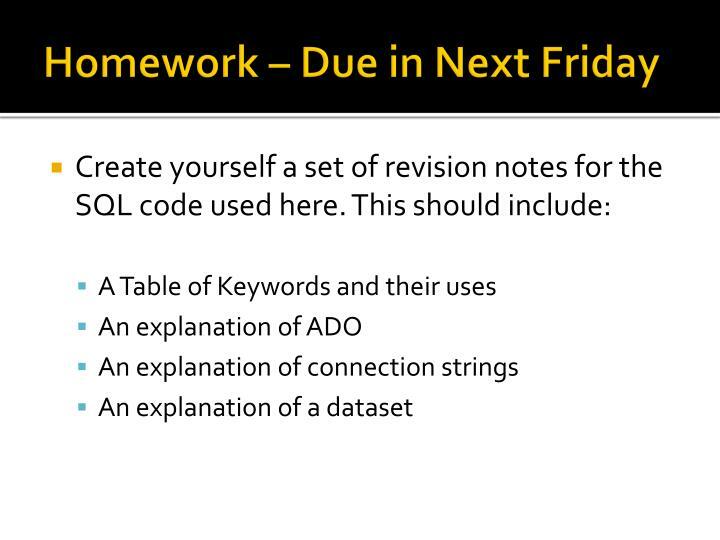 codd’s rules for rdbmss. 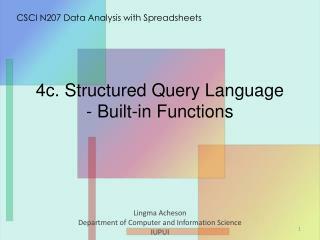 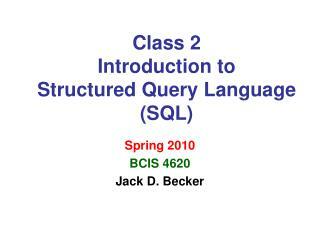 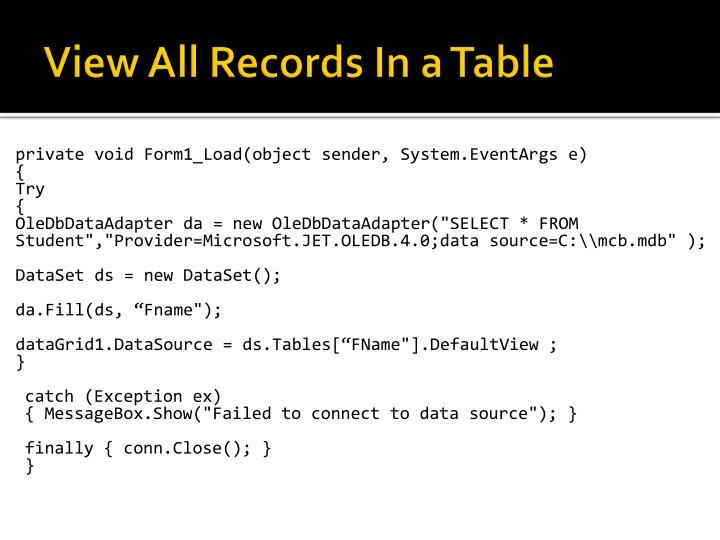 4 c . Structured Query Language - Built-in Functions -Csci n207 data analysis with spreadsheets. 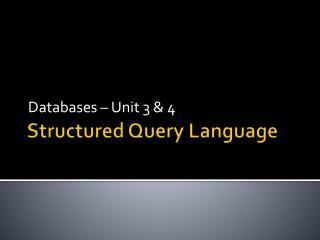 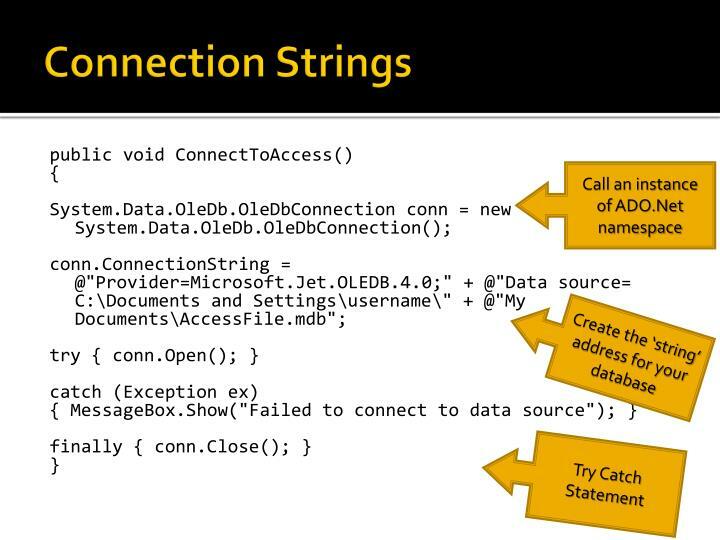 4 c . structured query language - built-in functions. 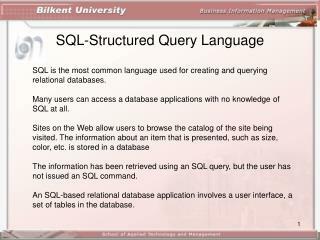 lingma acheson department of computer and information science iupui. 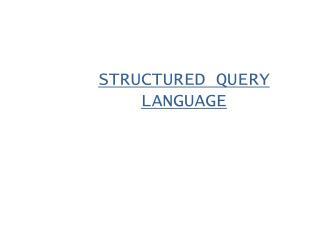 built-in functions. 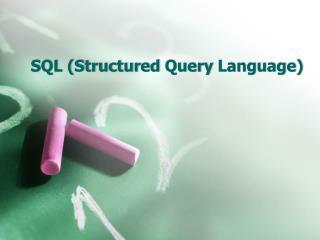 SQL (Structured Query Language) -. 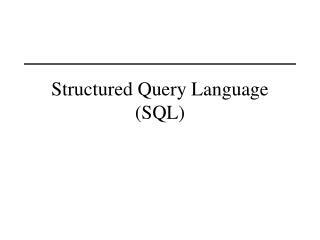 sql. 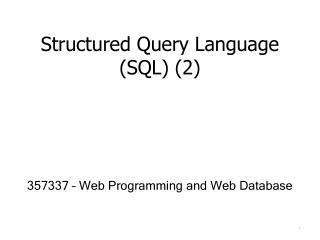 concepts of query basic structure set operations aggregate functions null values nested subqueries derived relations views modification of the database joined relations. 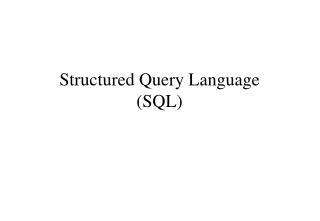 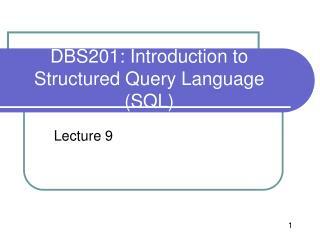 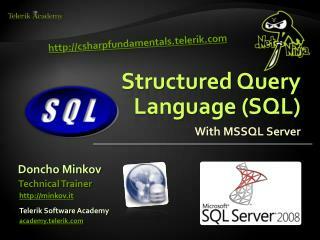 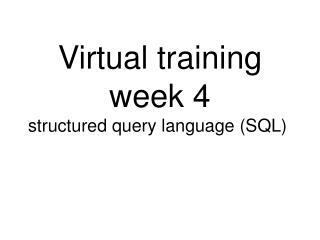 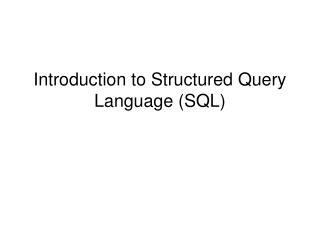 Structured Query Language (SQL) -. 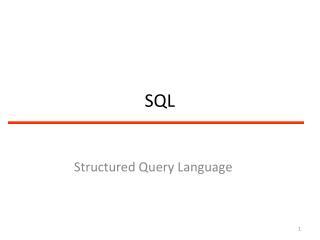 sql statements versus sql* plus commands. 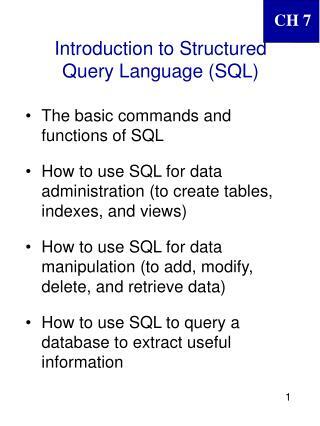 sql*plus: dos, windows, and browser isql*plus. 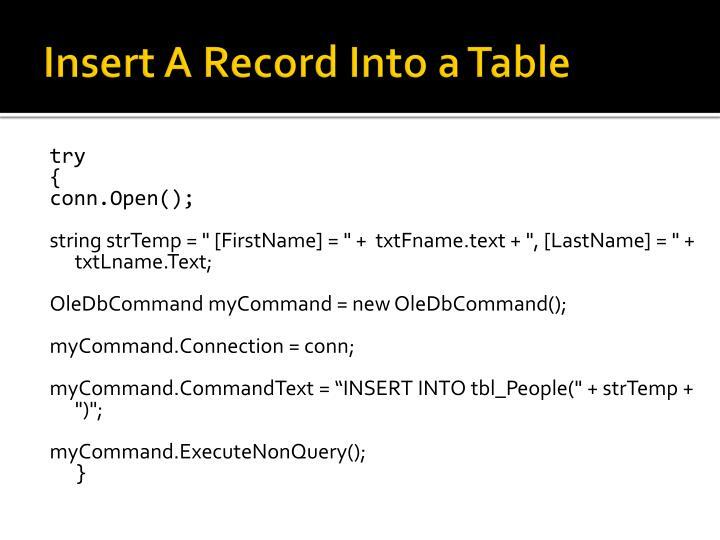 dos sql*plus editing commands. 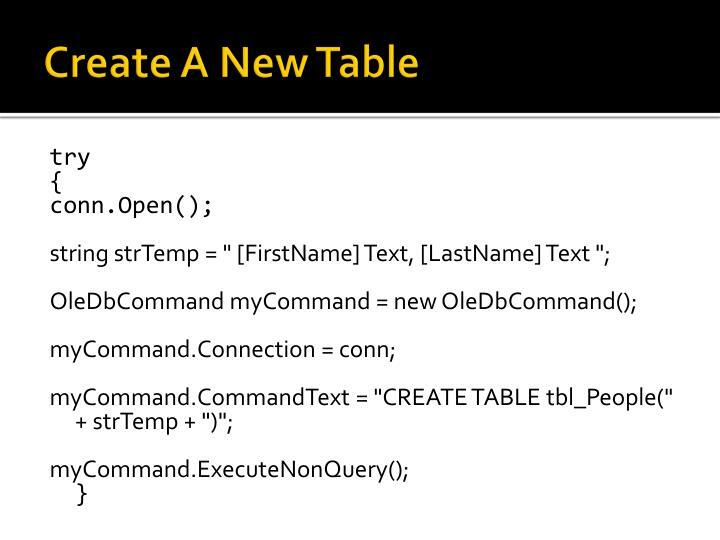 dos sql*plus editing commands. 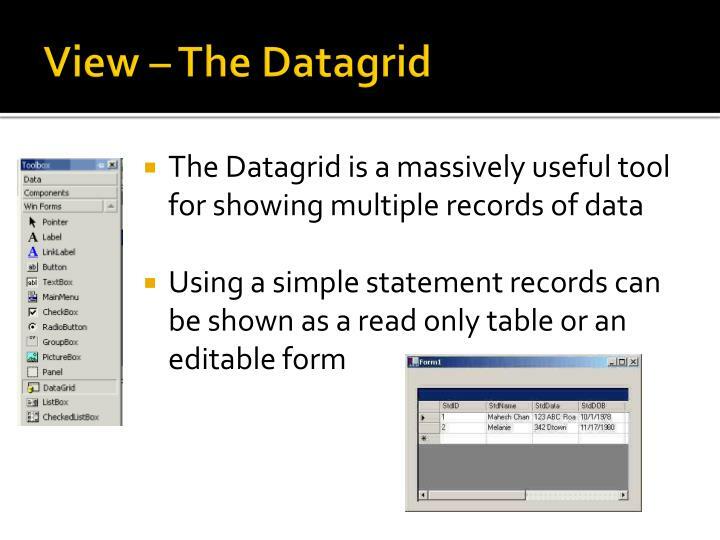 default: define _editor = &quot;notepad&quot;.